It is estimated that over $50 billion in drugs are trafficked in the United States every year. As such, it comes as no surprise that all levels of federal and state law enforcement are perpetually searching for individuals trafficking illegal substances. 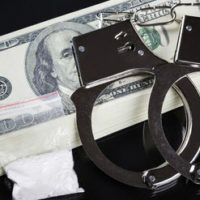 The Florida state government and the United States federal government are both heavily invested in tracking down and seizing illegal narcotics. In fact, the U.S. Drug Enforcement Agency employs nearly 4,500 officers who work full-time in the defense against drug trafficking. The state of Florida is a particular hotbed for illegal narcotics distribution due to the fact that this is a coastal state. If you are facing drug charges in Florida, it is important to remember that a knowledgeable criminal defense lawyer can be a vital asset in protecting your freedom. Just because you have been arrested on drug trafficking charge does not mean that you are guilty of the crime. Drug Trafficking: The most common drugs associated with drug trafficking charges include cocaine, marijuana, meth, and heroin. When an individual is charged with possession of a large amount of one of these controlled substances, it is common for the prosecution to pursue a trafficking charge, regardless of the whether any trafficking took place. If convicted of these additional charges, the penalty you will receive will be far more severe. Marijuana Cultivation: A significant number of marijuana grow operations exist in Florida. Often times these are intricate operations involving numerous locations and individuals. Unfortunately, due to the number of individuals involved, it is common for innocent individuals to get charged in relation to marijuana cultivation charges. Narcotics Over State Lines: When narcotics are transported over state or international borders, the charges will be under federal jurisdiction. This can greatly complicate your case and will often be accompanied by far more severe penalties. If you are accused of a federal charge, it is imperative that you seek the counsel of criminal defense lawyer who is knowledgeable of federal drug charges. Prescription Drugs: Unfortunately, the abuse of prescription drugs is a widespread issue in this country. With this prescription drug problem comes a lucrative market for illicit prescription drugs. Various types of prescription drugs are illegally bought and sold all across the state of Florida. Law enforcement takes illegal prescription drug activity very seriously. If you have been charged with a drug-related offense it is critical that you immediately seek the counsel of an experienced Orlando criminal defense lawyer. The prosecution will be doing everything in their power to prove your guilt and cast you in a negative light. It is important to remember that you are innocent until proven guilty and you deserve to be treated as such. At the Baez Law Firm, you will receive effective aggressive advocation on your behalf. Any charge should be taken seriously no matter how seemingly benign the accusations may be. To learn more call 800-588-BAEZ to schedule a free consultation.